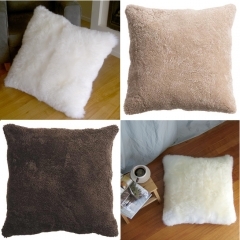 It’s hard to resist a pillow made from plush, dense sheepskin! Its cushy softness almost cries out to be squeezed or held against your cheek. And our sheepskin pillows are made in textures, styles and colors that bespeak casual comfort, yet are right at home on elegantly-feminine love seats or a chaise lounge. 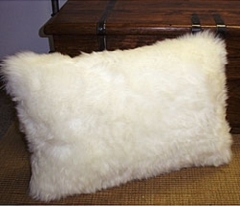 To make our pillows, soft, deep-pile sheepskins have been sourced from the finest flocks in New Zealand and Australia. The skins are tanned into fine woolskin leather in a unique 42-step process, then cut, matched and sewn. 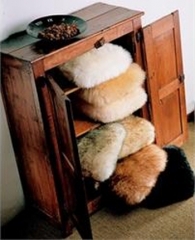 Sheepskin is one of nature’s unique fabrics, and it brings comfort and luxury into your life with style and flair. An investment in top quality sheepskin pillows will pay dividends for years to come.